just wanted to ask if anyone here with the standard audi sound system experiences a rattle from the speakers..
anyone else have this issue? any repairs? Considering taking it to Audi but highly doubt they'll have a fix for it. Now that you've brought it up though I might just do this week. From past experience Audi are actually pretty good at fixing this sort of thing - it's a premium brand, rattles aren't tolerated. For all we know the dealers might have a technical bulletin with a known cause/fix. I have so many issues with the base sound system including the drivers side speaker next to the steering wheel sounding like the cone is torn. I demonstrated it to the dealership but because they can only hear it when I play one particular track ( a quiet solo organ piece by Bach ) they say there’s nothing they can do. The parcel shelf behind the back seats is starting to rattle now too. I don’t have rattles in the door or below the windscreen....yet. It is easily the worst system I have had in a car. Then go to another dealer. It's a people thing unfortunately and not all dealers are equal. Can you name and shame the woeful outfit that turned your request down? Equally if you are not happy call Audi Customer Services and tell them - shoddy customer service is not what Audi are about. It’s my 3rd Audi from this particular dealership and they are a block from my work. The next closest dealership is an hour away. I am in very slow discussions with Audi Of America about the terrible base audio system. I have spent months trying all sorts of things to improve it. Short of replacing and adding components there’s not much to be done. 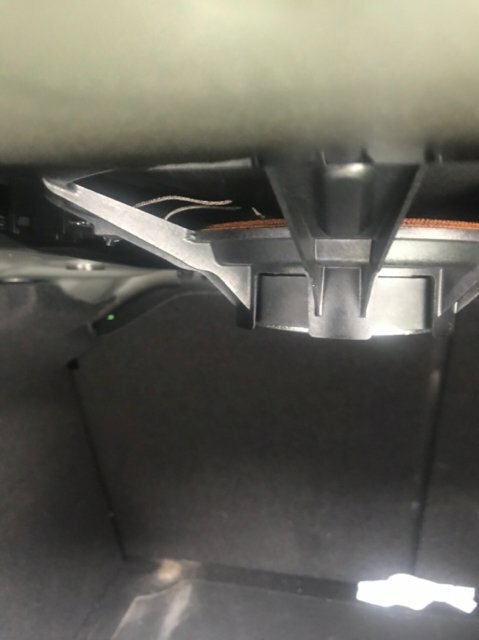 The salesperson did not recommend replacing components on a lease even though the car audio company said they revert back to stock before lease end. I’m happy to post my audio improvement adventures if anyone is interested? It drives me crazy man. Mine is a lease also but I know Audi can do better because the RS3 my cousin has doesn’t rattle at all with the system he has in there..
Really annoys me. I’m going to take it in soon as well. Yep the speakers in the B8.5 are fine aswell. Worst thing it most probably will be the case. But I am seeing people with the B&O complain as well. lemonjelly14 and h1r4 like this. The Sub is the worst culprit. As others have said during bass. lemonjelly14 and blackb9er like this. Either way, it's actually very annoying that such little niggles have not been dealt with.. shouldn't be happening on an Audi. Its really bad. The speaker system on the Merc is actually very bad unless you upgrade to the Burmester system. No one should accept rattles in any Audi, period. Audi engineer and build the cars properly with high quality plastics and interior fittings, designed to fit together properly and specifically not rattle, buzz, squeak or resonate even if you have the basic sound system installed or any other component for that matter. Within the international motor industry, irrespective of brand Audi is regarded as the exemplar of interior build quality and material utilisation. So if your Audi has an irritating sound go and have a grumble at the dealer and get it fixed. Audi dealers openly admit that their customers are very demanding, it's a premium product at a premium price and it should be perfect. Theory is lovely, practise, unfortunately, in reality seems to be further from that. I have taken my car back for the, very common, rattle from the rear parcel shelf and they couldn't fix it. Meanwhile back in the real world, outside of the warm embrace of an Audi marketing leaflet... the speakers buzz and rattle on many of these cars and the dealers aren't really ars3d. tickedon, WesT-gefül, blackb9er and 2 others like this. That’s fair tbh... I mentioned before I had a Merc C class with 20k and that had all sorts of squeaks and rattles. I don’t hear anything of the sort on my A4 after 63k - unless it’s cups in holders, or something left in door pockets that is! I kinda live with the sub, as my music is rather ‘demanding’ of the sub in that regard! Usually if you turn it up loud enough the door speakers typically drown it out! My OCD means that no matter what I do, I can still hear it. It drives me crazy lol!! Same here mate like someone else said my music is very demanding of the sub so there's not a song I cant play without it rattling unless I turn it right down. Ruins the driving experience. Exactly the same with me mate. Unless I turn the music down till I can't hear the rattle anymore, it just continues to get on my nerves. & if you do go ahead and do that, please let me know if it solves the rattle for you. Because I'll be doing the exact same! For all we know the dealers might have a technical bulletin with a known cause/fix. Noises from the door speakers. code 47A006 in the tester menu under Update. Check whether the complaint is fixed. If not, replace the speaker. When improving the sound insulation of the speakers, use service number of the noise-causing component. Groundlessly accounted work/replaced parts will be redebited. Noises from the middle speaker cover of the dash panel in music or phone operation. Vibration noises because of movement between cover and carrier. Speaker cover with nonwoven fabric over whole surface. Remove the speaker cover with a small plastic wedge. In winter the cover should not be removed when it is cold, as the clips could break and fall into the dash panel. This could cause noises when driving. Replace the cover with a new with integrated nonwoven fabric. The part numbers are 8W1819899 or 8W2819899. rasA4, WesT-gefül and cosmicblue like this. I can almost guarantee that those wires are not the culprit. The rattles will relate to vibrations of the grill covers or the parcel-shelf elements or both. Looks like I'm going to take a trip down to the dealer so that I can get this sorted tbh. I though that my car didn't have the rattle from the parcel shelf, however upon further inspection, I hear the extra vibrations come in from the parcel shelf as well. So annoying. Hopefully I can get a fix for this. I had a rattle on the left side. Took it in under warranty, got push back. But to their credit they suggested I sit in the car with the technician and demonstrate it. Once he heard it, they were happy to fix it. Took the door apart, tied everything down. The problem with sound is things only resonate (vibrate) at certain frequencies. If they just turn on the radio during a test, they may not spot it. I knew tunes that caused the issue, so that’s what I played when I showed the problem. The issue became apparent immediately. Problem got fixed and now the sound system sounds as it should. You can download tone generator apps for your phone. Fine the frequency that causes the rattle and show the dealer. No argument then. My subwoofer aswell with high bass!! Thanks for this does this include B&O set ups? You were right. I decided to put some tap on the wires and its not made any difference! Is this something they will do while you wait? Nope, I have a courtesy car booked in as they want it for a day or more depending upon the resolve. Wouldn’t be viable. Most of the work involved is fault-finding. You’d be there for hours. Yep, hence why I have a courtesy car booked in. I only got the rattle / resonation with talk radio - music was fine - when i took my car in the dealer said it was a known issue and it was dealt with under warranty. Now its great.